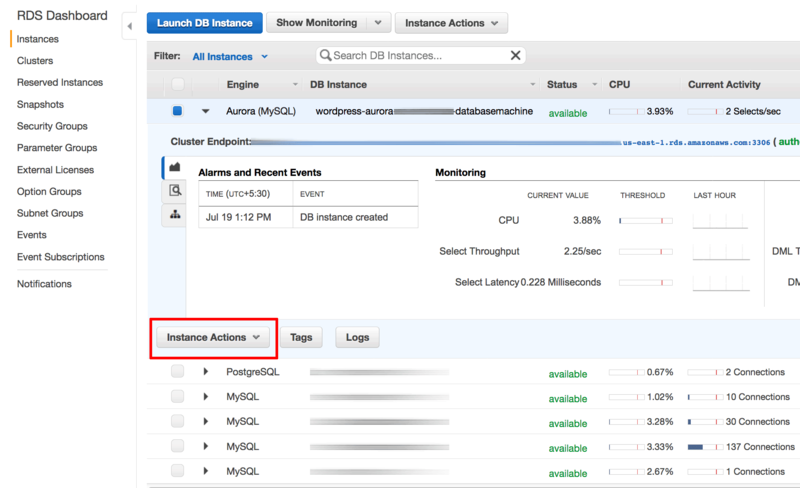 Select the “Instances” menu item and then select the MariaDB or Aurora RDS instance you wish to modify. 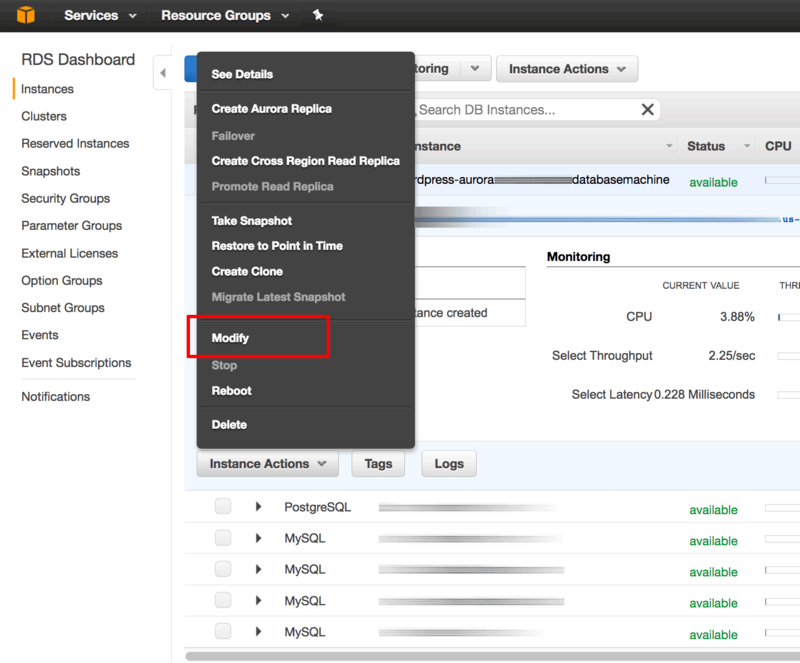 From the “Instance Actions” menu, click the “Modify” option. 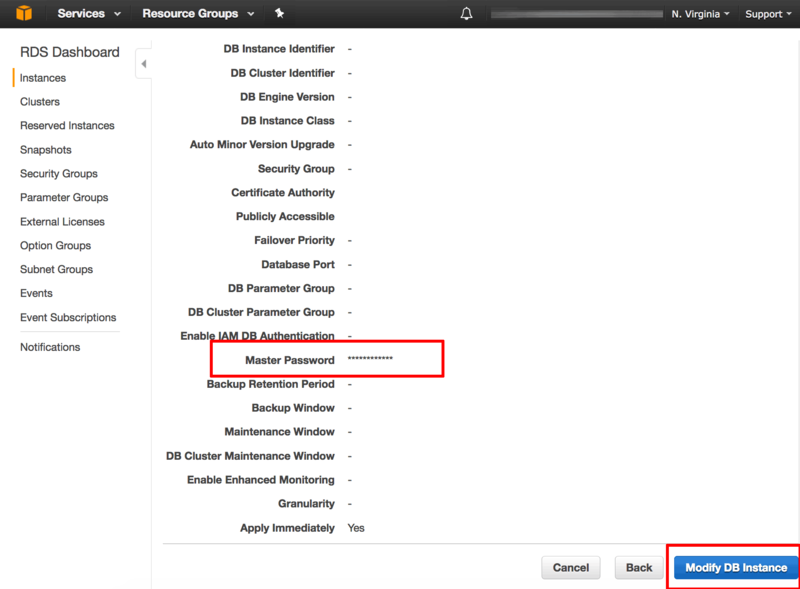 On the resulting page, enter a new password in the “Settings -> New Master Password” field. Leave all other settings as they are. Scroll down to the end of the page and check the “Apply Immediately” option. 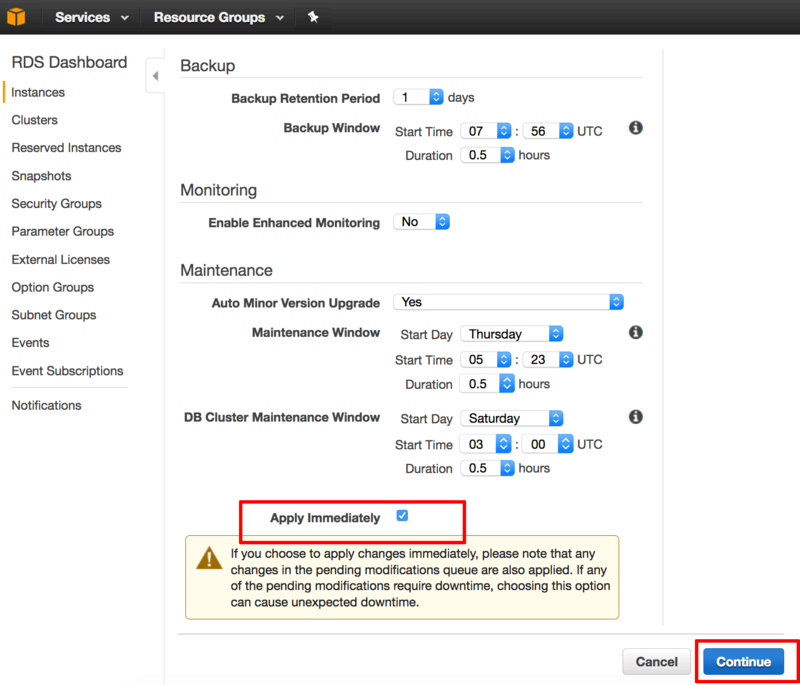 Review the submitted modification and click the “Modify DB Instance” button. 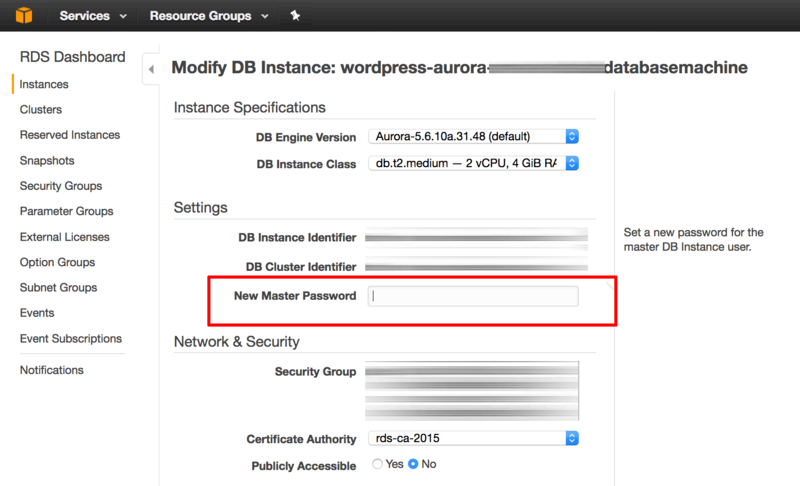 The RDS master password for the selected database instance will be modified and you should now be able to access the database server with the new password.